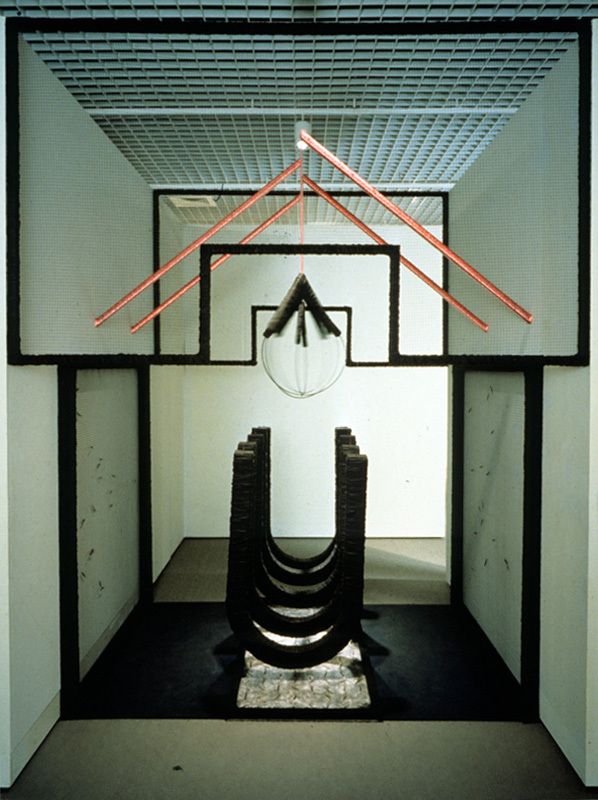 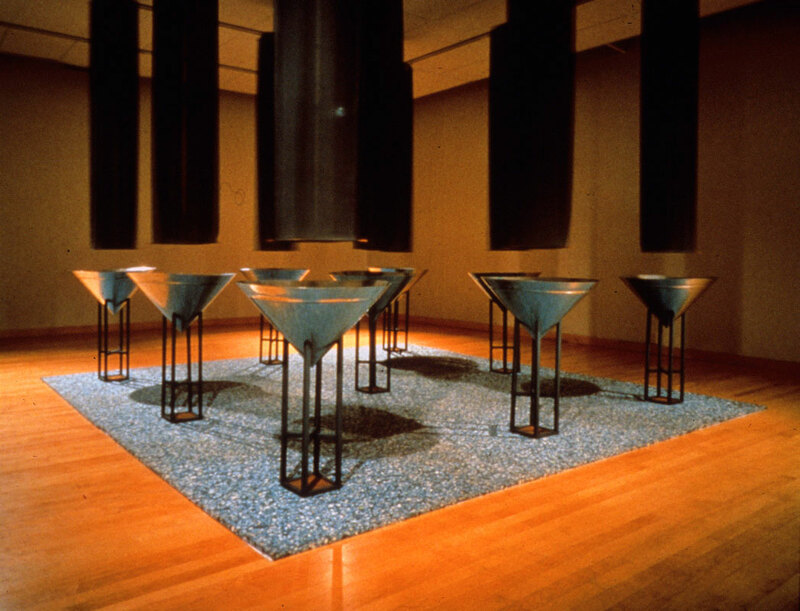 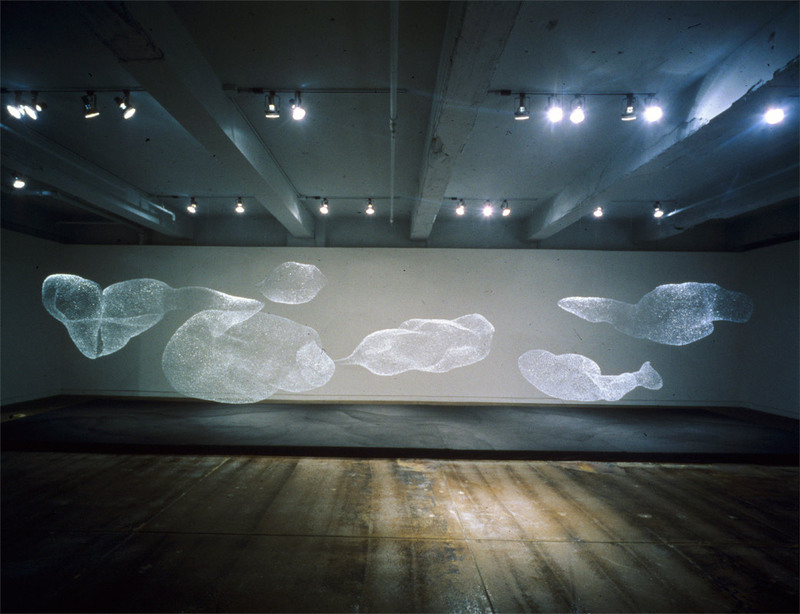 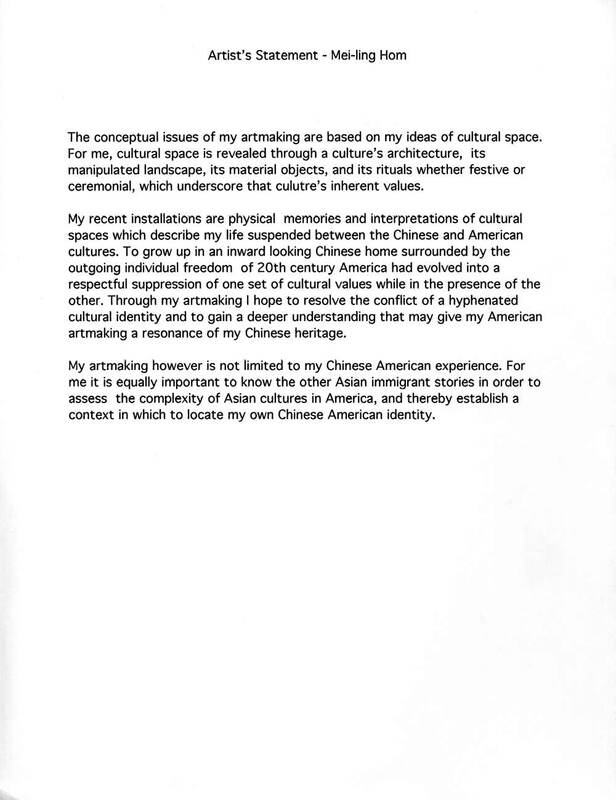 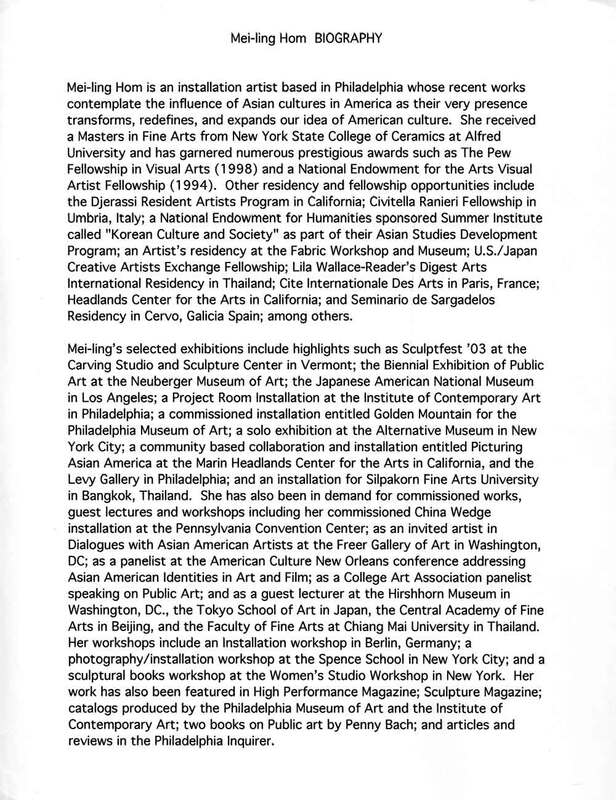 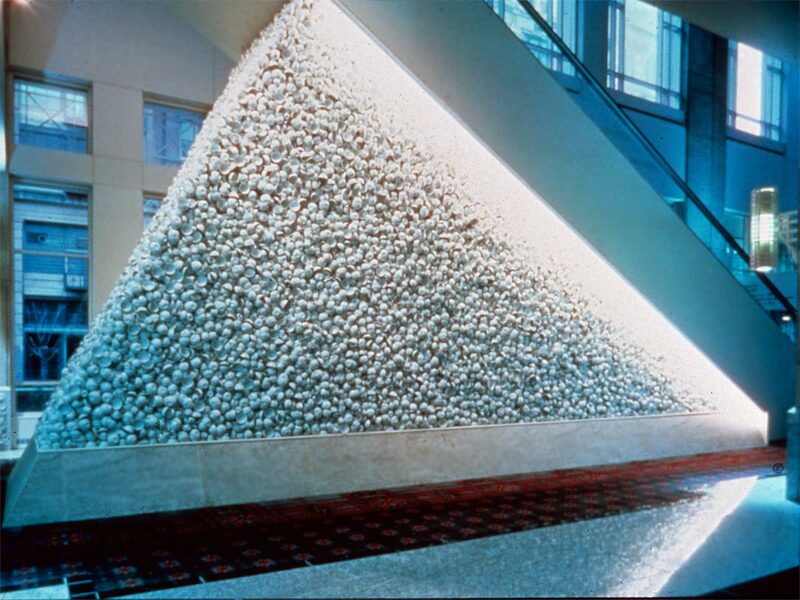 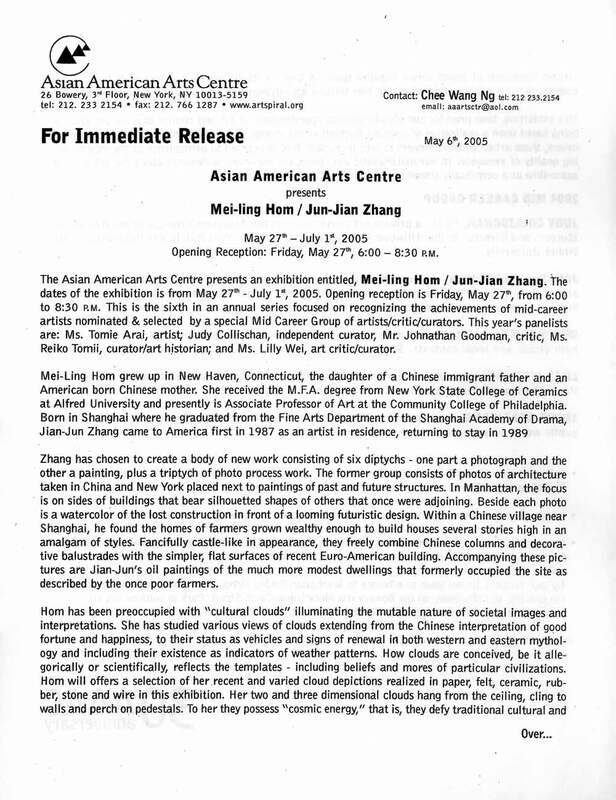 Exhibition press release for "Mei-ling Hom / Jian-Jun Zhang" at Asian American Arts Centre, New York City, from May 27-July 1, 2005. 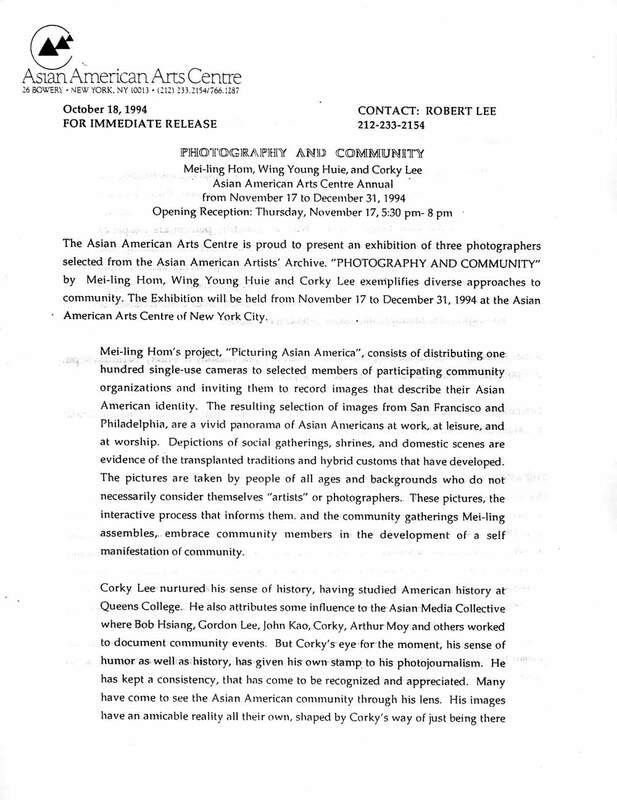 Press release dated May 6, 2005. 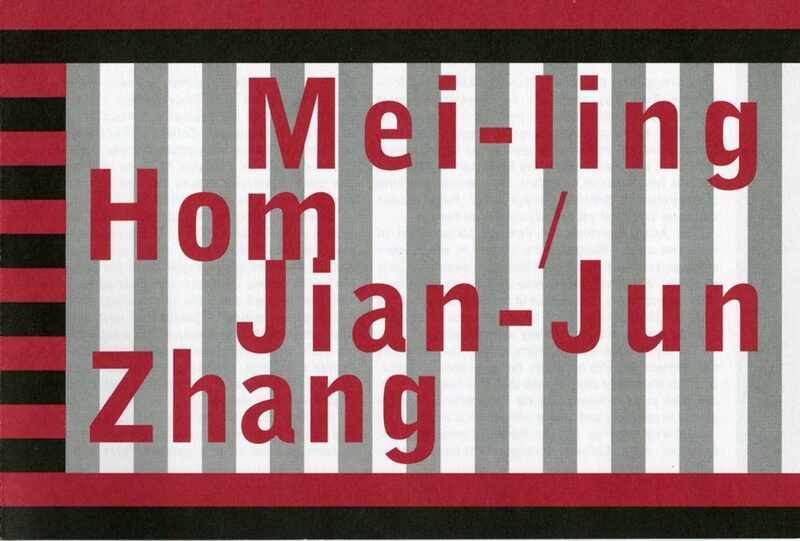 Exhibition flyer for "Mei-ling Hom / Jian-Jun Zhang" at Asian American Arts Centre, New York City, from May 22-July, 2005. 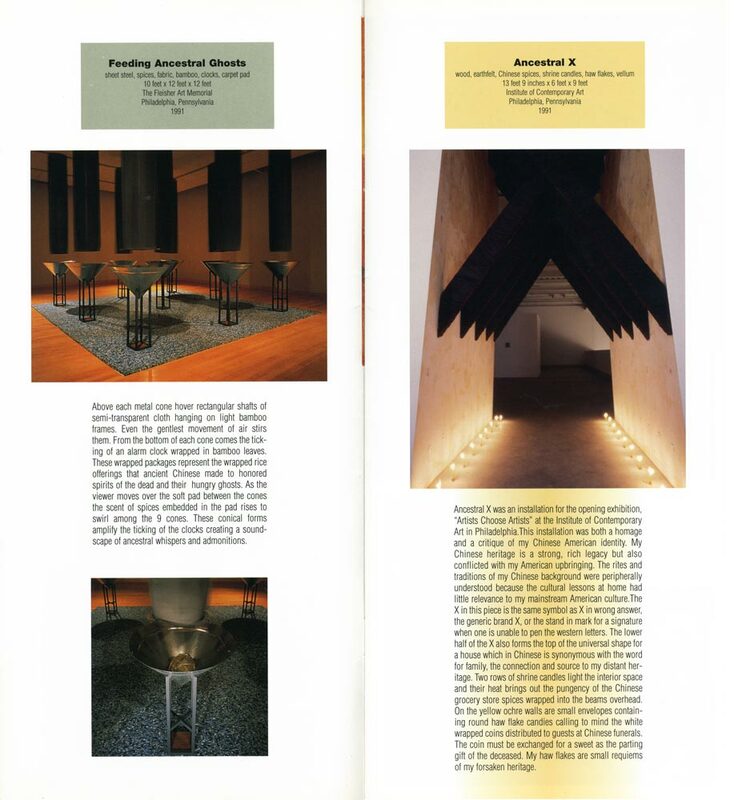 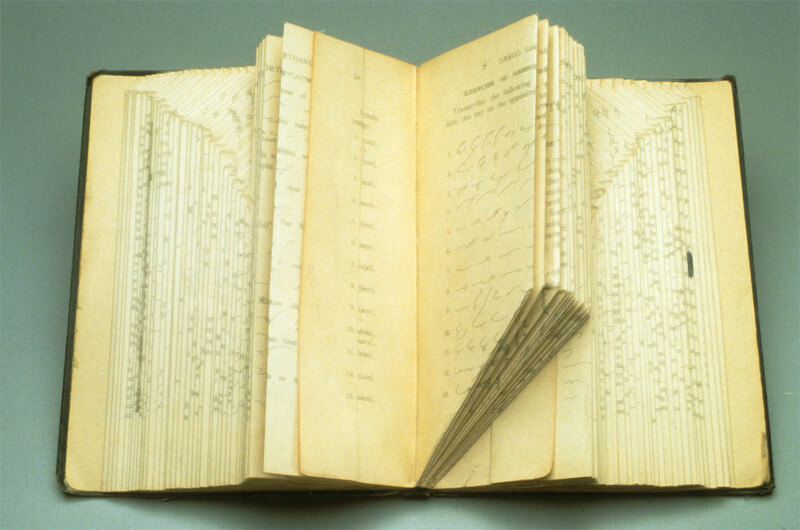 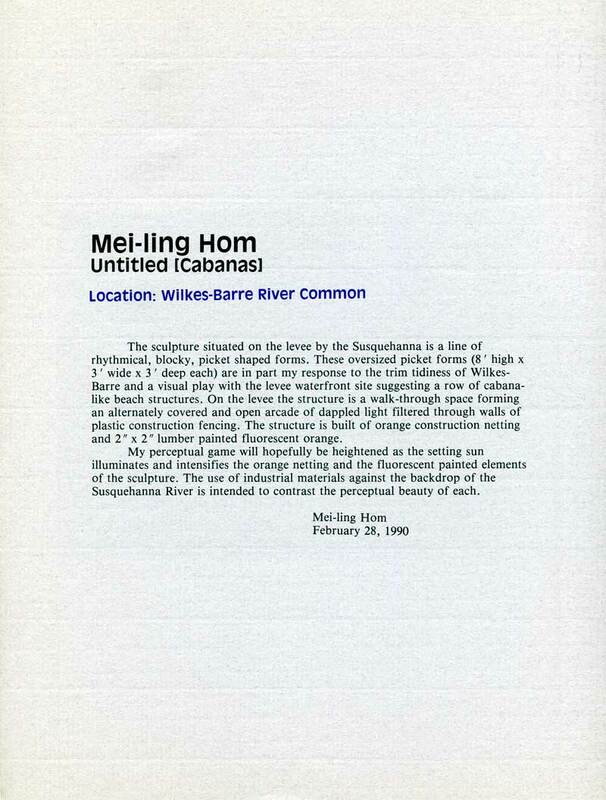 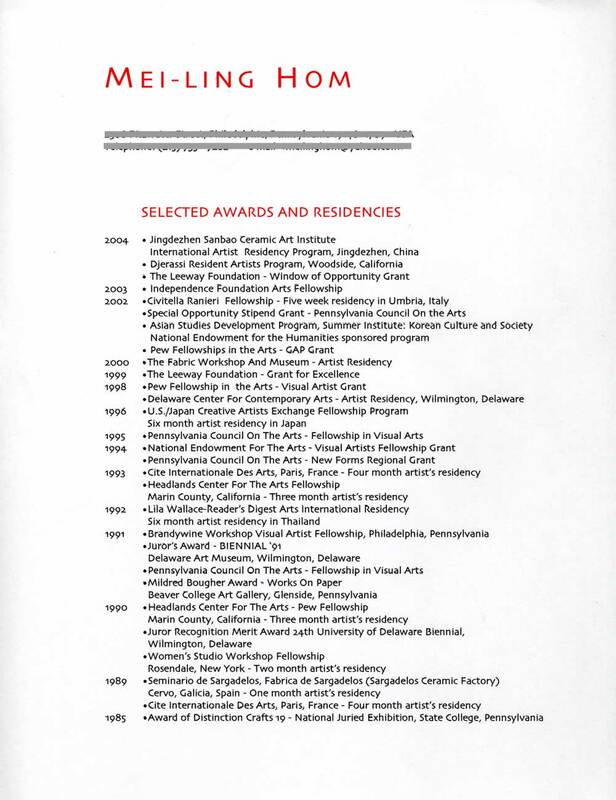 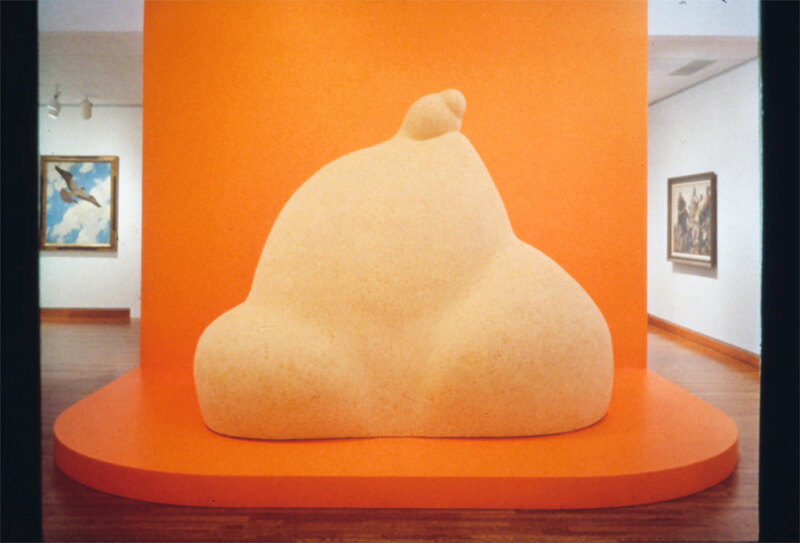 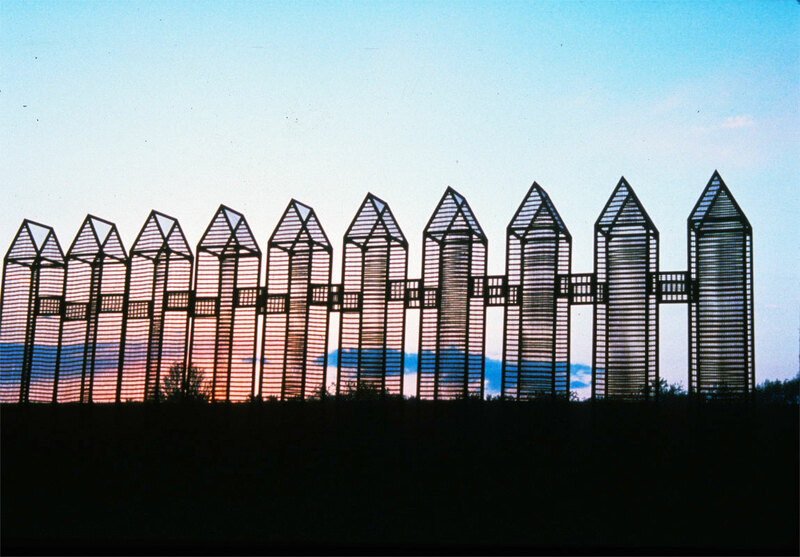 Exhibition catalog for "Wilkes-Barre: Senses on Sight" organized by the Sordoni Art Gallery of Wilkes-Barre University, Wilkes-Barre, Pennsylvania, from May 13-June 17, 1990, with artists John Bromberg, Stephen Poleskie, Mei-ling Hom, Angelo Ciotti, George K. Shortess, and Mathew Tanteri. 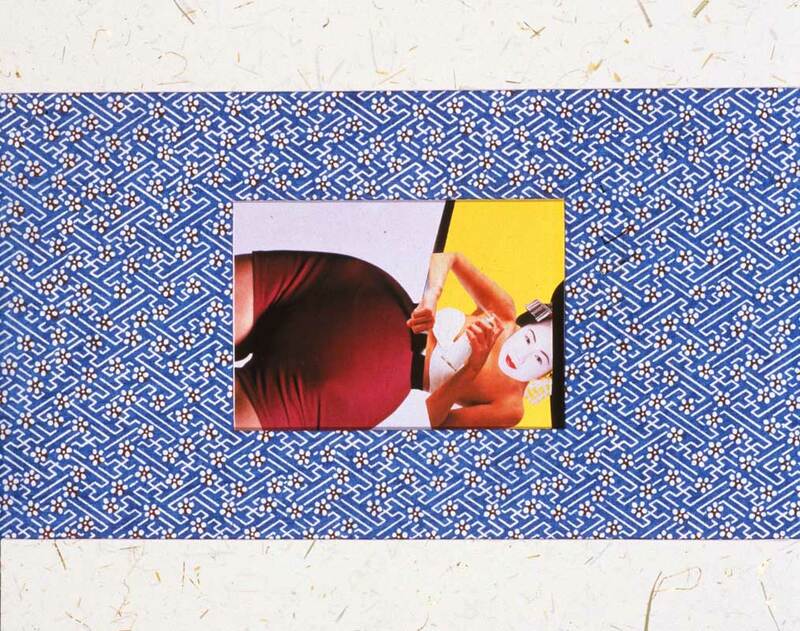 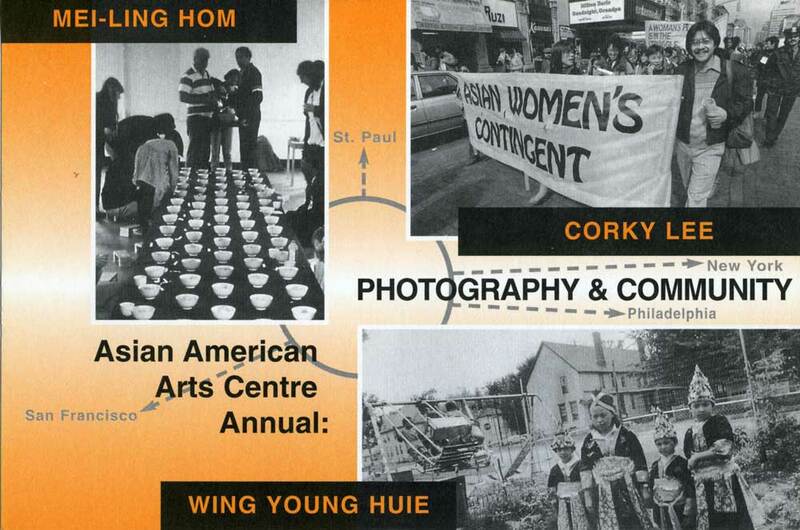 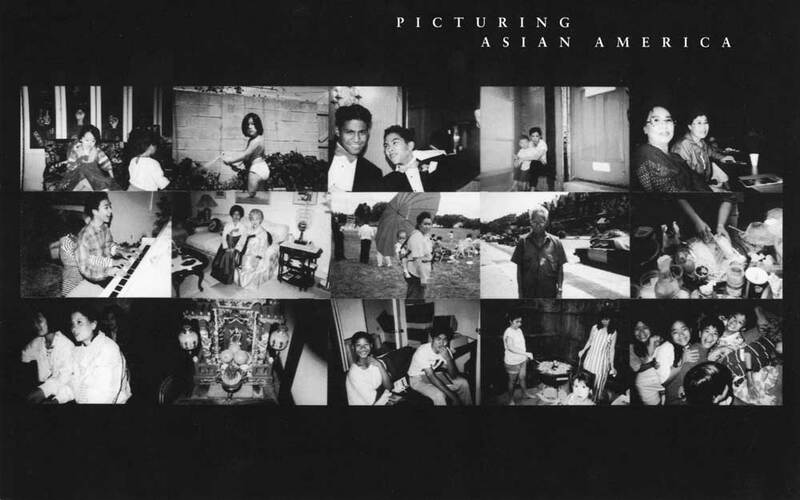 Exhibition postcard for "Picturing Asian America", a collaborative project organized by Mei-ling Hom at Levy Gallery for the Arts, Philadelphia, from Sep 9-Oct 16, 1994.